We thought this a great basic overview (reference sheet) of Asperger Syndrome compiled by the staff at the Asperger/Autism Network. Nice to share if you or someone you know suspects autism. It is a neurological condition that affects the way information is processed in the brain. AS is a hidden disability. Many people appear very competent, but they have difficulties in the areas of communication and social interaction. AS has a genetic and hereditary component and may have additional interactive environmental causes, as yet unknown. AS is a developmental disability. All individuals have social/emotional delays, but continued growth seems to be life-long. The incidence of AS is thought to be 1 in 250. As many as 50% of people with AS may be undiagnosed. There are currently four males diagnosed with AS for every one female, but the true ratio may be as high as one female for every two males. Having a very high intelligence and good verbal skills. Having challenges with the use and understanding of language in social contexts. Having trouble understanding what others are thinking and feeling (called Theory of Mind or perspective taking). Needing to be taught social behavior that is “picked up on” intuitively by others. Having difficulty understanding non-verbal cues such as hand movements, facial expressions, and tones of voice. Facing challenges with organization, initiation, prioritizing – considered executive functioning tasks. Building friendships through mutual interest areas or activities. Viewing the world in black and white, with difficulty compromising or seeing gray areas. Feeling different, like aliens in our world. Sometimes experiencing anxiety and/or depression. Sometimes experiencing extreme and debilitating hyper- or hypo-sensitivity to light, noise, touch, taste, or smell. The environment can have a profound impact on their abilities to function. Eye contact can be difficult, sometimes painful, and usually distracting (or if taught poorly, some individuals may stare). Some people with AS are clumsy, most have poor fine motor skills; although some excel in individual sports. Some individuals with AS have additional diagnoses, such as ADD, bi-polar, OCD. Some have superior skill in a particular areas such as painting, writing, math, music, history, electronics, or composing. 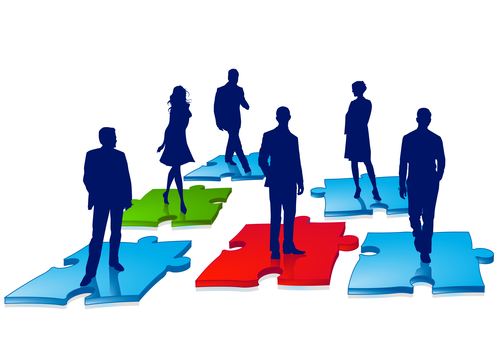 People with AS may have difficulties working in groups. Children with AS may have meltdowns that last between 10 minutes and several hours, during which time the child is not in control of his/her behavior. Self-esteem can be an issue for individuals with AS, especially during middle school. Many are extremely good at memorizing facts and information. Some like to systemize the world as a way of understanding it. This is a very good list. 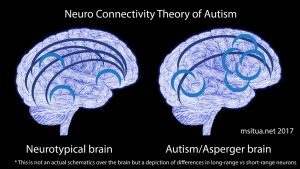 The only thing I would change is to use Asperger Autism as opposed to ASD since the concept of Aspergers as a disorder is from a medical, disease model without regard for neurotype difference. sensory challenges were mentioned but the side effects like limited food choices due to taste and feeling in the mouth and also they can have an aversion to showers and proper dental hygiene due to the sensory challenges.